Read nextThe PlayStation Company: where has Sony been hiding this MWC? 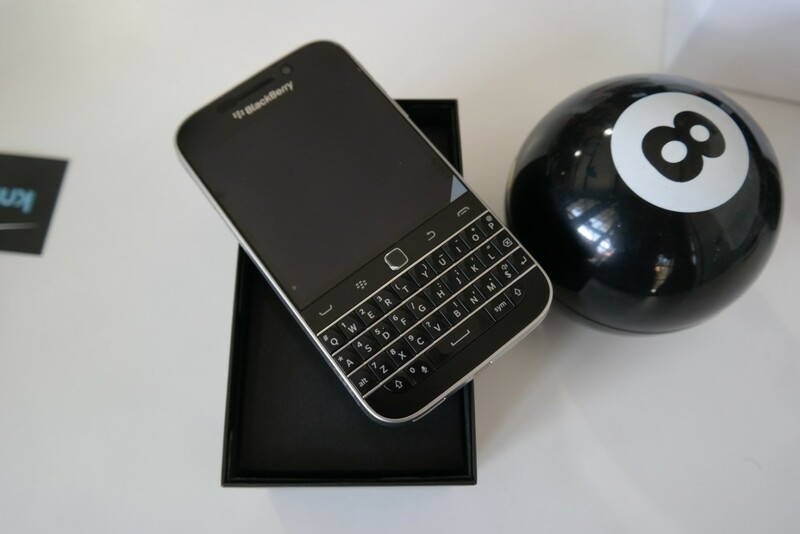 We’ve been using the BlackBerry Classic now for over two weeks, and it’s a bag of mixed nuts. Cashews and pistachios though. Clearly BlackBerry has been putting in an inordinate level of care when packaging its devices in modern times, and it shows — the Classic easily has one of the nicest boxes of any 2015 device we’ve seen. The 3.5-inch 720p-squared screen, Snapdragon S4 Plus CPU, 2GB of RAM and 8GB of storage cocktail is protected from roughage by a premium black and silver cardboard shell. When popping the box open, the phone sits snugly on top, with its full QWERTY keyboard visible. That keyboard really is this device’s money maker. It’s solid, tactile and is an absolute dream to type long emails, messages or even articles on. Further rummaging through the packaging reveals a microSD and microSIM removal tool, which to this day still seems like an overly complicated way to insert a memory card into a phone. There’s also a microUSB cable for data and power transmission and a tiny travel charger (not like those behemoths from other manufacturers). Additionally, note the adorable separate packaging for the headphone — pure love. Nevertheless, have a look at the BlackBerry Classic’s disrobing and let us know what you think of the phone in the comments section below. The PlayStation Company: where has Sony been hiding this MWC?